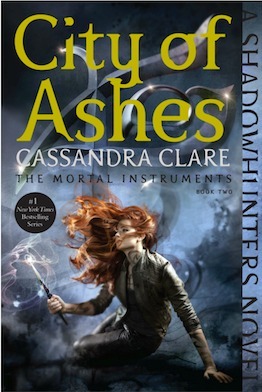 SYNOPSIS: Clary Fray just wishes that her life would go back to normal. But what’s normal when you’re a demon-slaying Shadowhunter, your mother is in a magically induced coma, and you can suddenly see Downworlders like werewolves, vampires, and faeries? If Clary left the world of the Shadowhunters behind, it would mean more time with her best friend, Simon, who’s becoming more than a friend. But the Shadowhunting world isn’t ready to let her go—especially her handsome, infuriating, newfound brother, Jace. And Clary’s only chance to help her mother is to track down rogue Shadowhunter Valentine, who is probably insane, certainly evil—and also her father. Yea the second book was also my least favorite. I feel like it was so slow and the love triangle is just so annoying. Like ugh. I just wanted things to pick up. But I still enjoyed the other aspects. Right, exactly! The love triangle – ugh. I don’t mind a well done love triangle on occasion but this one just bugged me!